I’ve been an Alfa Romeo fan for as long as I can remember, which made me especially excited to get behind the wheel of a modern-day example. Bright “Alfa Rosso” red livery aside, the Stelvio supplied wasn’t anything I would have expected to ever wear the blue-encircled red cross on a white field and green serpent badge before, but luxury marque boardroom bottom lines have been causing crossover SUVs to show up in what we middle-aged car enthusiasts might consider to be the most unlikely places these days. This in mind, the last Alfa Romeo I’d driven before this new Stelvio was an almost equally bright red 1991 164 S sport sedan, a car that I borrowed from a pre-owned retailer friend back in the day just so I could appreciate how a front-wheel drive Alfa might feel. It was actually one of the better stock front-drivers I’d experienced up to that point, but it was a completely different experience than the ’86 GTV6 I’d tested prior to that, or any number of mid-to-late ‘60s and early-to-mid ‘70s four-cylinder powered rear-drive 105/115 series GTV coupes, “Duetto” and Spider Veloce roadsters, and last but hardly least, another friend’s ruddy quick 1750-infused ‘67 Giulia Super sedan we lovingly dubbed “The Fridge” due to its boxy shape and stealth white paint. Fondly remembering some of these now classic Alfa models, I perused the online classifieds to see if any of my favourite Italian flames might now be available and how unaffordable they’d become, only to have my initial expectations of potential fulfillment quashed with 1750 and 2000 GT Veloce coupes going for considerably more than new 4Cs, between $60k and $80k, not to mention a dreamy 1961 Giulietta Sprint Speciale with an even loftier $155,000 asking price. Of course, classic Alfas have been sold for millions, especially those with racing pedigree, which is far from the case for most competitive premium brands these days. The only Lexus model to regularly fetch six-figure sums is the LFA supercar, a worthy contender that may indeed be worth significantly more one day, but such speculation is hardly bankable. Acura’s NSX enjoys more history and a current six-digit price, yet the Japanese brand has never achieved anything in the sevens, which brings us to Infiniti that is in fact using its design team to conceptualize what its brand may have appeared like if it actually existed back in the glory days ¬of motor racing—and don’t get me wrong, I can’t help but love the Prototype 9 and more recent Prototype 10. Infiniti shouldn’t feel bad for its lack of history, especially considering that mighty BMW wasn’t even part of that era. While Anonima Lombarda Fabbrica Automobili (A.L.F.A.) was tearing up the Targa Florio in 1911, ahead of Nicola Romeo & Co taking the reins to win the inaugural world championship for Grand Prix cars in 1925, the German upstart was fixing its blue and white roundel radiator cap ornament to rebranded Austin 7s and dubbing them Dixi. Of course, Mercedes-Benz has a glorious motorsport past and present, as do many of today’s luxury brands from Audi and Porsche to Bentley and Ferrari, but Alfa Romeo is nevertheless rare in today’s somewhat homogenized automotive world. It’s managed to retain a semi-exotic aura despite now competing directly with the more common premium carmakers just noted, which makes the need for superior style, luxury and performance of greater import than average. To this end it also makes sense for the new Stelvio to be one of the compact luxury SUV segment’s priciest entries, its $53,345 base MSRP greater than all conventionally-powered competitors except for the Porsche Macan and Range Rover Velar. The Velar is quite a bit larger, mind you, bordering on mid-size like its Jaguar F-Pace cousin, so its $10k higher base price could be seen as reasonable against bigger two-row rivals like the Lexus RX, Mercedes-Benz GLE-Class (previously called M/ML-Class), Lincoln Nautilus (née MKX) and Cadillac XT5 (see all 2019 Stelvio pricing at CarCostCanada, as well as important rebate info and dealer invoice pricing that could save you thousands). Instead, the Stelvio has been designed to fit snuggly into the compact luxury SUV sweet spot held by such perennial best-sellers as Audi’s Q5 and Acura’s RDX. Actually, at 4,687 millimetres (184.5 inches) long with a 2,818 mm (110.9 in) wheelbase, 1,903 mm (74.9 in) wide (excluding its mirrors), 1,648 mm (64.9 in) tall, and weighing in at 1,660 kilograms (3,660 lbs) in base form, the Stelvio is slightly longer and wider than the Q5 with an almost identical wheelbase, height and curb weight. Interestingly, the new RDX has grown considerably to end up quite a bit longer than either competitor with a notably shorter wheelbase, but to be fair it targets a less affluent buyer despite impressive luxury and performance. 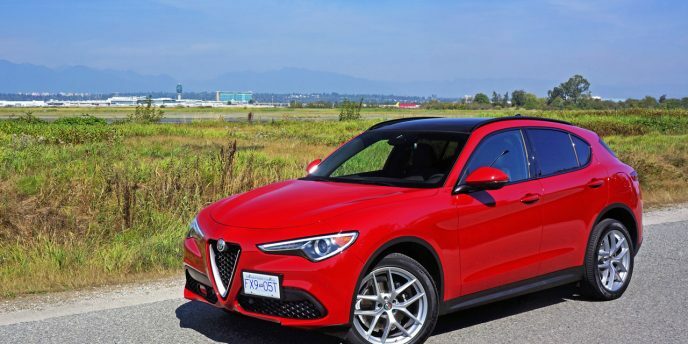 Prestige has much to do with this, and helps the Stelvio command its higher price. The Stelvio AWD base MSRP noted a moment ago is merely the starting point in a range that ventures well into Range Rover and Porsche SUV territory, with the Italian model’s lineup also including the $55,345 Stelvio Ti AWD, $55,845 Sport AWD, as-tested $58,245 Ti Sport AWD, $58,595 Ti Lusso AWD, $95,000 Quadrifoglio AWD. Quadrifoglio is Alfa-speak for an M- or AMG-like performance upgrade. The four-leaf clover has long been the sign of special performance models destined for a lucky few, and the Stelvio Quadrifoglio takes SUV performance to unprecedented levels. As you may have surmised by the other trim-line names, AWD is standard and Sport makes reference to performance improvements, albeit not with respect to the standard powertrain. Quadrifoglio aside, the Stelvio’s sole engine is a 280 horsepower 2.0-litre direct-injected and twin-scroll turbocharged four-cylinder with 306 lb-ft of torque, while the world’s second-quickest SUV stuffs a 2.9-litre V6 between its front fender wells that’s good for 505 horsepower and 443 lb-ft of torque. To put this into perspective, the fastest Macan Turbo is only capable of achieving 100km/h in 4.4 seconds yet it’ll cost you more at $99,000 plus options, whereas the Cayenne Turbo can match the Quadrifoglio’s blistering pace when upgraded with its Sport Chrono Package, yet it does so from the seat of a larger, more substantive machine that starts at a near-exotic $140,980 so equipped. VW products in mind, the ultra-fast Alfa even beats Bentley’s quickest 600 horsepower Bentayga to 100km/h, maintaining the brand’s semi-exotic status due to the necessity of performance comparisons against ultra-rich hardware like the $232,000 Lamborghini Urus that’s now the only SUV capable of quicker acceleration off the line thanks to the same naught to 100km/h feat managed in just 3.6 seconds. While being propelled from standstill to 100km/h in just 3.9 seconds sounds both exciting and daunting from the heights of a compact SUV, I found the base engine wonderfully engaging when the desire for straight-line performance got the better of me, while it proved a pleasant everyday driver as well. To be clear, the performance edge added by the upgrade to Sport AWD includes a set of steering column-mounted paddles plus tweaks the suspension with a firmer setting via lowered springs and uprated dampers. Furthermore, Ti trim allows the ability to add a $1,500 Performance Package including a limited slip rear differential and an active and continuous suspension and shock absorber control system that reduces body lean, pitch and dive oscillations no matter the conditions. The system constantly interacts with the standard Chassis Domain Controller (CDC) as well as standard DNA Pro drive modes before calibrating its findings dependent on the selected setting. DNA Pro can be controlled via a rotating dial next to the electronic shifter atop the lower centre console. The dial points to separate settings that read “d”, “n” and “a”, a witty collective play on acronyms that combines the abbreviation for all living organisms’ source code with the usual driving modes. While I would’ve loved if these letters represented Italian language references, DNT (dysembryoplastic neuroepithelial tumour) doesn’t have the same ring to it as DNA (deoxyribonucleic acid), so therefore the letter “d” stands for dynamic instead of dinamico, “n” for natural rather than naturale, and “a” for all weather in lieu of tutto il tempo. Before I get ahead of myself (or lose myself in silliness), you start the Stelvio by pressing a button on the steering wheel, a process that I never really got used to throughout my test week due to such buttons normally being somewhere on the dash or centre console. My inability to quickly find it had more to do with habit than location, being that I don’t get enough seat time in Ferraris anymore, which use the same layout. Once up and running I found the Stelvio’s four-cylinder much quieter than any of the aforementioned Alfas driven previously, whether idling or tooling around town at low revs in default Natural mode, and while such aural pleasantries are now muted so are expletives uttered from would-be backyard mechanics attempting to optimize the twin cam timing via strobe on sidedraft Weber and points equipped engines. In other words, modern-day electronics have made our vehicles a lot more reliable. In truth, there was no way to look under the hood of my particular tester at all. When I attempted to do so for photo purposes the hood release lever wasn’t working. I pulled it and nothing happened, all before it fell off in my hands. How quickly I was transported back to the roadside mechanical nightmares of my youth and requirement for such expletives just noted, and how perturbed that this Alfa Romeo became the first vehicle in nearly 20 years of reviewing new cars to experience such a problem. Fortunately the Stelvio redeemed itself when it came time to drive, as its initially docile sounding four-cylinder came alive like an Alfa Romeo should when Dynamic sport mode was activated. It launches from standstill to 100km/h in just 5.7 seconds and really feels like the sub-six-second car it is, while its standard eight-speed automatic shifts with immediacy and precision via the console shifter or those steering column-mounted paddle shifters noted earlier. The former is finished in what looks and feels like a satin-silver alloy, while the latter are made from hefty chunks of smooth billet aluminum. They’re nice and long and, being fixed to the column, don’t rotate with the steering wheel, so you’ll always know which one to use for upshifts and which for downshifts. Aiding its quick response to throttle input and helping reduce overall mass to benefit in all other ways is a lightweight carbon fibre driveshaft, while the Stelvio’s rigid high-strength steel constructed body shell is unburdened further via aluminum front and rear vehicle frames, aluminum front shock towers, brakes, suspension components, doors, fenders, roof and hood, plus a composite rear cross member continues to lighten the load. All of this, along with my tester’s 20-inch alloys on 255/45 Continental CrossContact LX Sport all-season tires that come standard with its near top-line Ti Sport trim, plus Alfa’s fully independent aluminum-intensive double wishbone front suspension with semi-virtual steering axis, and unique patented “Alfa Link” design rear setup with vertical rods, made for one of the best handlers in the class and a mighty comfortable one too. Much of my Stelvio tester’s comfort quotient was derived from the fabulous “Performance Sport” leather-upholstered seats that come standard with its upgrade to Ti Sport AWD trim, the driver’s form-fitting and superbly supportive, especially when it came to holding backside in place during fast-paced lateral manoeuvres. These seats include side bolster bladders to hug one’s torso more snuggly, plus extendable lower front cushions to cup under the knees, the former powered and the latter manually operated. While ideal for my smallish five-foot-eight frame, I picked up a close friend who is thicker around the middle and he complained they were too tight, even when we widened the bladders as far as they would go. This is definitely something to consider when purchasing, with the base seats potentially better for larger folk. Seating in mind, with the driver’s seat positioned for my height I sat behind and found it very comfortable and quite roomy with approximately eight to 10 inches ahead of my knees, plus more than enough room for my feet even when stretching out my legs, while there was also about three and a half inches above my head, and four to five inches beside my hips and shoulders. Alfa provides a flip-down armrest at centre, complete with dual cupholders. They even provided a slot between the two cupholders for holding a smartphone, very intelligent. There are two large vents on the backside of the front console for feeding air to each rear passenger, plus a duo of USB charging ports under these, while rear outboard seat heaters are available as well. The rear passenger compartment is very well finished too, and the panoramic glass sunroof overhead provides an open, airy ambiance. The rear liftgate is powered if you opt for the $500 Convenience package, and stops at pre-programmed heights, this one preset quite low so I kept bumping my head on it. Yes, I could’ve set it to lift higher, but to its credit I was easily able to push it higher manually. The retractable cargo cover is well made and fits nice and tight within its extended position, while the carpeting and finishing of the cargo area is quite good too. Alfa included a rail system in back, also part of the Convenience package, complete with movable hooks for clamping down gear, while the load floor in between can be lifted and removed, exposing a styrofoam compartment underneath. Levers for automatically lowering the 40/20/40 split rear seatbacks are provided to each side, the centre position needing to be folded manually from a pull-tab on top. I like the flexibility of the cargo area, the centre pass-through ideal for longer items like skis, and while a smidge smaller than the aforementioned Audi Q5 at 525 litres (18.5 cu ft) behind its rear seats and 1,600 litres (56.5 cu ft) when they’re fully flat, it should suffice for most peoples’ needs. I’m not going to try to directly compare the Stelvio to the Q5 when it comes to the quality of materials, fit, finish and design, but only because they’re so different stylistically. Both are excellent, broken hood latch aside. The Stelvio gets the usual cloth roof pillars, an upscale premium soft-touch dash top and door uppers front to rear, as well as some other nice padded and stitched leather and leatherette on most other waist-height-and-above surfaces, but unlike some in the class its quest to pamper gets marred by hard plastic on the insides of the centre console, plus some sections of the upper door panels and the entirety of the lower door panels. Then again the Stelvio improves on some of its rivals with a glove box lid covered in a premium pliable synthetic, plus it adds more soft stuff to the top sides of the centre console and all of the instrument panel down to its midpoint, while the Ti Sport’s standard aluminum inlays look and feel like the genuine metal they’re touted to be—you can get yours with hardwood if more your style. Additionally, most of the switchgear was up to snuff thanks to reasonably high-quality, dense composites and nice, tight fitment, although some of the rotating knobs felt a tad sloppy, but only because they can be pushed forward, backward, side to side and turned. In a market that’s starting to lean toward standard digital gauge clusters, the Stelvio’s primary instruments are mostly analogue, which I must admit is fine with me, especially when they’re done so nicely and conjure up such wonderful thoughts of past Alfa classics. A large colour multi-information display sits between traditional tachometer and speedometer dials, filled with useful functionality yet most of its panels are black and white monochromatic. Over on the centre stack is an 8.8-inch widescreen infotainment display that looks plenty large and modern enough, but it wasn’t particularly inspiring when it comes to graphics. Certainly the navigation mapping was colourful and crystal clear, not to mention very accurate, and its interface clean, uncluttered and nicely laid out with black backgrounds and fittingly red highlights, but the reverse camera is tiny compared to most on today’s market, coming nowhere near to filling the screen space provided, and therefore making it less than ideal for negotiating complicated parking stalls, especially at night. On the positive, the optional Harman/Kardon audio system was superb. Features in mind, Apple CarPlay and Android Auto are now standard for 2019, while those heated rear seats are standalone options, as is an upgraded alarm. My Ti Sport tester and the top-line Quadrifoglio can be had with a carbon fibre package this year too, while an available Nero Edizione (Black Edition) adds darker wheels and blackened exterior accents, including the badges, to all trim lines. Incidentally, that aforementioned Convenience package also includes a cargo net and a 115-volt household style power outlet, while a $1,000 Driver Assistance Static package adds auto-dimming side mirrors and blindspot monitoring with rear cross-traffic alert. Those wanting yet more advanced driver assistance can opt for a $1,500 Driver Assistance Dynamic Plus package boasting automatic high beams, adaptive cruise control with stop and go, forward collision warning with autonomous emergency braking, lane departure warning, and solar control windshield glass. As for standard equipment, the base model includes 18-inch alloys, HID headlights with LED DRLs, proximity-sensing access with pushbutton ignition, leather seat upholstery, eight-speaker audio, and the previously noted TFT driver information display, selectable drive modes, and reverse camera. Above that, Ti trim ups wheel size to 19 inches while adding aforementioned navigation to the larger 8.8-inch infotainment display, and also includes the genuine hardwood inlays noted earlier, while Lusso trim is all about heaping on the luxury. Regular readers will know I don’t often comment on styling unless a vehicle’s beauty takes me off guard or the opposite occurs, but this is an Alfa Romeo and, partially because of my long love affair with the brand and partly due to being the first I’ve ever reviewed, I feel compelled to say a few words. First, few brands stand out with such distinctive front end styling, its classic V-shaped centre grille plunging deeply past the front bumper like nothing else on the road. A sharp looking set of available LED headlamps bookend each side and big sporty black mesh vents fill in the lower front fascia, while those aforementioned alloy wheels looked particularly attractive in their split five-spoke design, and sportier than the base rims. I love that Alfa adorns each hub with its iconic badge, these placed at each end of the SUV as well, while the LED taillights are nearly as interesting as the headlamps up front, and dual chrome exhaust-tipped lower rear valance nearly as alluring as the front apron. I must say the Stelvio lives up to styling expectations no matter the trim. I only wish I saw more of them on the road. Even my exotic sports car and premium SUV filled neighbourhood left me wanting, the Stelvio seemingly as rare as rare can be, while hardly exclusive and therefore comparatively boring Q5s, RDXs, X3s, GLCs and NXs roam rampant. Don’t get me wrong, all of the above are very good luxury SUVs worthy of your attention, but the Stelvio delivers a higher level of styling and driving passion that truly deserves more love. That it also provides all the practicality this segment demands is reason enough to seriously consider it. I can’t promise you Lexus levels of reliability, but one quick stint behind the wheel and you won’t care. 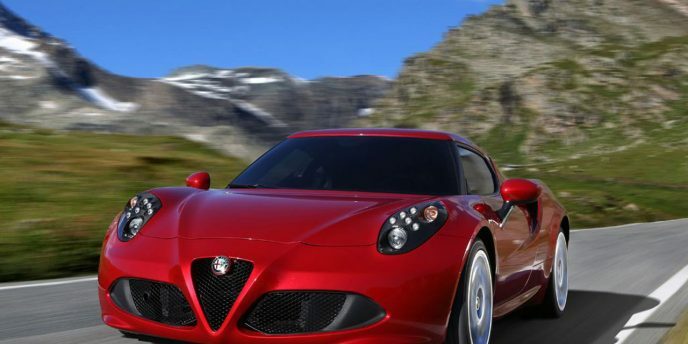 With Alfa Romeo's curvaceous 4C sports coupe set to herald the marque's triumphant return to North American shores when it goes on sale here for the 2015 model year, the big question was "Where will they be sold?" Alfa Romeo is owned by Fiat Chrysler Automobiles, which also owns Maserati, and conflicting rumours hinted that the 4C might be sold either through select Fiat dealers, or through Maserati dealers. Now Fiat Chrysler has answered the dealership question, appointing 86 Alfa Romeo dealer franchises across North America and promising more to come by the end of the year. Most of the franchises appear to be Fiat dealers, although there are a few Maserati dealers sprinkled into the mix as well. Fiat-Chrysler's Automobiles' recently announced five-year strategic plan has its share of winners and losers - the to-be-discontinued Dodge Grand Caravan and Avenger being two examples of the latter - but for fans of Italian sports cars it looks like a bonanza. 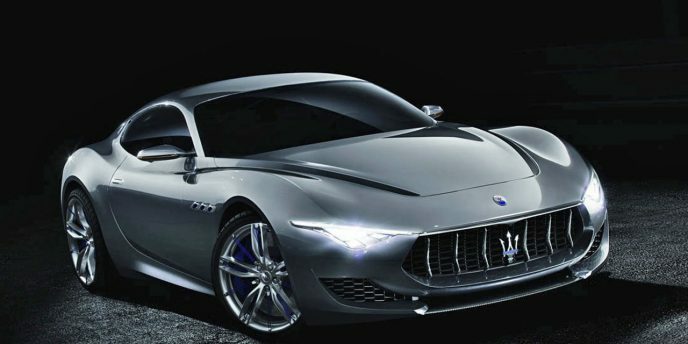 The bonanza stems from aggressive development plans for the company's Alfa Romeo and Maserati marques. Between them, the two Italian sports car builders have been given the go-ahead to develop something like 14 new vehicles. 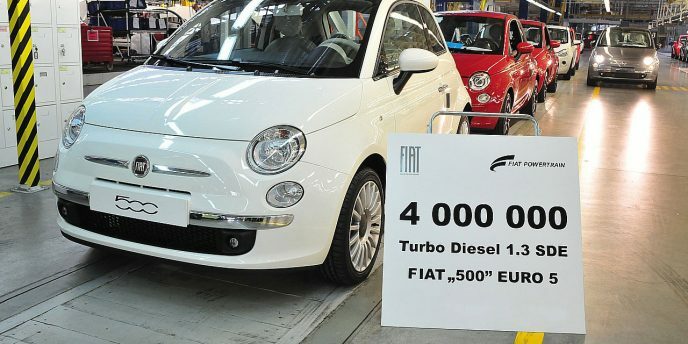 To get the development rolling at Alfa Romeo, FCA has set aside 5 billion Euros - nearly $7 billion US - to fund a skunk works staffed by 200 of the brightest engineers from throughout the various FCA companies, with that number growing to 600 by next year. For North American fans of Italian sports cars, the opening of the New York International Auto Show in mid-April promises to be the biggest event in 20 years. Why's that? Because Alfa Romeo has chosen New York for the North American debut of its striking 4C sports coupe, marking the official return of the marque to these shores after several years of rumour and speculation, and a full 20 years since it pulled out of North America. According to industry sources, the initial plan is to sell the exotic mid-engined sports coupe at a few select dealerships that already handle Fiat Chrysler Automobiles' upmarket Maserati brand. 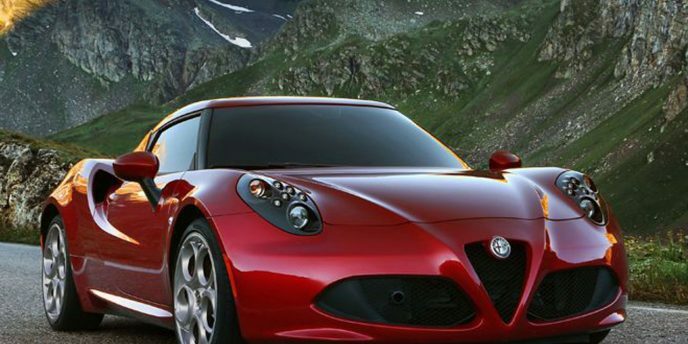 Over the longer term, however, Fiat Chrysler CEO Sergio Marchionne has suggested that the Alfa Romeo 4C won't be the lone Alfa Romeo, with other models under consideration for import and "better performing" Fiat dealers being allowed to participate in Alfa Romeo sales.